The recent global industrial direction moves towards smart home, intelligent manufacturing, intelligent transportation, smart grid, and smart cities. It is about the integration of cross-field technology, integration of cultural and creative applications as well as involving the issues of standard formation. 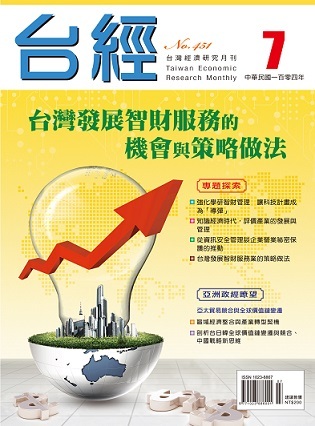 According to the past patent ability experience, Taiwan in fact has a very strong foundation in response to the new industrial trend.